April hunt for value in the blue chip suburbs. 2019 has brought out buyers looking for the opportunity to break into areas they once thought were too expensive. Blue chip suburbs like Camberwell, Kew and Hawthorn have had price drops of 12 to 15% since the market topped out in 2017. The 10% price drop in Northcote, Brunswick and Carlton makes these cosmopolitan areas way more affordable too and likely to prove a good investment when the market swings back to positive value growth. A very successful recent Buyer Marketing acquisition was 12B/635 St Kilda Road Melbourne. The home had previously been listed with an Armadale agent for several months asking $1,800,000 to $1,900.000. We approached the vendor to introduce our offmarket buyer. The property was negotiated well and purchased for $1,665,000. Our client was very happy with the outcome! Realestate.com.au reported in April that Middle Park is again Melbourne highest searchranked suburb for both houses and units, with buyers hoping to spot a bargain and get a foothold. Albert Park, Hawthorn and East Melbourne were also high on the list of highly searched suburbs. We know younger first home buyers are driving a busy market on Melbourne’s fringe, but now older first home buyers are emerging as a buying force. State Revenue Office figures show there were 3237 first-home buyers aged 40-plus between July 2017 and February 2019. And there were 286 first-home buyers who were aged 60 and over. This group is buying mainly in newly developed outer suburbs. After waiting a lifetime they’ve decided 2019 is a good time to buy a home! We definitely agree. March market booming in the West – ‘subject to credit’. Over the first three weekends of March more than 1,730 auctions were recorded by the Real Estate Institute of Victoria (REIV). 734 homes were sold at auction with 663 passed in, 353 of those by vendor bid. So far in March the clearance rate has averaged 55.5%, slightly down on February’s 56.5%. With Autumn here the market has fired up with more sellers going to auction. The ‘first-home’ buyers brigade are still leading the charge, particularly in Melbourne’s more affordable outer suburbs. This is driving a boom in the west out Wyndam and Hoppers Crossing way. Wyndam house price growth grew by 10.7% across 2018. Truganina values rose by 15% in the 12 months leading up to November 2018. Williams Landing was up 13.8%. Melton house prices rose 14.1% (CoreLogic). But another data analyst (Hotspotting Price Predictor), puts Melton’s 2018 growth higher at 20%. Immigration is also boosting the numbers of buyers in the region. An emerging trend in 2019 is more buyers making offers with a ‘subject to credit’ clause. With tightened lending conditions the banks are putting more scrutiny on valuation, are more conservative in estimates, and determined to screen out any overpriced property. And the banks are also looking much closer at the borrower’s job security and dependability of income. Buyers keen as 2019 gets into gear. Over February’s first two weekends more than 522 auctions were recorded by the Real Estate Institute of Victoria (REIV). 234 homes were sold at auction and 212 were passed in, 93 of those by vendor bid. So far this February the clearance rate has averaged 55.5%, up on December’s 48%. A build up in buyer demand over Melbourne’s great Summer break brought a boost in clearance rates as the auction market moves into gear in 2019. Agents are reporting that after a downcast end to 2018, competitive bidders are out again on sale days, snapping up homes while conditions are favourable. There are plenty of predictions about where the market is headed. CoreLogic registers an 8.7% drop in the Melbourne home values since the “peak in December 2017”. Commonwealth Bank economists have just announced they now expect Melbourne prices to drop 13% from peak-to-trough. Sydney values have already dropped more, i.e. by 13.5% so far, with another -6% or so on the cards. Supposedly the Melbourne market has a bit further to fall before the climb back starts. Finder.com.au is predicting a further 6.6% drop in Melbourne values during 2019. If this does happen, there average home value fall again by about $49,000. Not surprisingly, sellers are biting the bullet and adjusting expectations down. We’re seeing more careful presentation also, with more perfect fronts and highly appealing gardens and backyards. Vendors are making changes that upgrade appeal for sale time. Sellers are trying harder to get the buyers they want. Plenty hoping for a sale by Christmas. Over December’s first two weekends more than 2,042 auctions were recorded by the Real Estate Institute of Victoria (REIV). 703 homes were sold at auction and 940 were passed in, 441 of those on a vendor bid. So far in December the clearance rate has averaged 48%, down on November’s 49%. The correction continues but plenty of homes are coming on the market. And it’s a patchy market, with great homes in great spots performing very well while other homes can struggle. ‘Domain’ claimed the clearance rate for the December 8 and 9 weekend was just 43.9%. Knowing full well that property market adjustments like this can get a bit rocky, global economic analysts at the OECD (Organisation for Economic Co-operation and Development) in Paris posted a warning to Australia in mid December. The OECD pointed out that if the local housing downturn worsens it could actually cripple consumer spending, which in turn could trigger a downturn in the Australian economy similar to the 2008 Global Financial Crisis. But that’s a gloomy point of view according to Treasurer Scott Frydenberg who described the economy as “good” and that Australian consumers are still “confident” and still spending. The trend for properties to pass in at auction has continued in December, now firmly a majority. 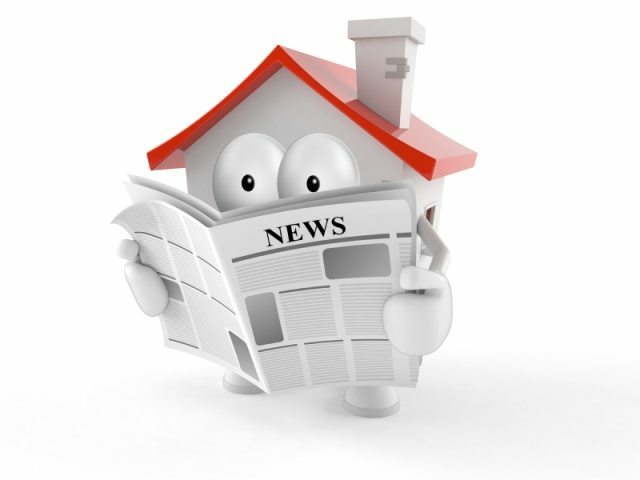 However, one in five passed-in properties sells within two weeks and one in three homes still sells by the 4 week mark. There are uncertainties in the market for both sellers and buyers. Many property owners want to sell before Christmas/New Year but others are pulling their homes from sale to wait for better selling conditions. In the meantime life goes on and plenty will continue to want to sell, to meet their plans and needs. As highly experienced advisors we’ve worked through these cycles before and know that as long as you make the right moves – it’s a good time to buy. Spring 2018 brings great value. On November’s first two weekends more than 1,022 auctions were recorded by the Real Estate Institute of Victoria (REIV). 390 homes were sold at auction and 460 homes were passed in, with 193 of those on a vendor bid. The clearance rate so far in November has averaged 51%, down on October’s 53%. Melbourne Cup weekend saw only 153 auctions but the numbers bounced back the following weekend with 810 homes under the hammer. There was another fantastic purchase this month by Buyer Marketing – a client had been researching the market for six months around Seaford, but found it hard to find a good three bedroom property under 700k. After engaging Buyer Marketing we recommended a look at a beautiful fully renovated character home at 11 Regent Court, a quiet leafy street in neighbouring Frankston. It was well-negotiated and purchased for $680,000, which presented great value. Frankston has had a great a deal of money injected into it over the past few years and has had excellent capital growth. With a new railway station, pier and $30 million shopping mall, the attractions keep growing. Access to Melbourne is good with the M3 and M11 freeways and it’s a short drive to Red Hill and the magnificent peninsula. The outcome is a very happy client! So what are the implications for buying or investing at this point? In March Melbourne’s median house price was $914,000 (Domain). In June it was $882,000. By September it was $852,000. So the median’s down by $60,000 at least so far this year. So affordability has improved in many areas. But in some areas, like Frankston, values have grown (REIV) in the past year with clear prospects for more good growth. The figures show it’s a very good time to buy in Melbourne – especially when you pick your suburb carefully! It’s a buyers’ market across the Middle Ring. On the first two weekends of October more than 1,487 auctions were recorded by the REIV (Real Estate Institute of Victoria). 559 homes were sold at auction, with 613 homes passed in, 311 of those were on a vendor bid. The clearance rate so far in October has averaged 54%, sharply down on September’s 59%. Supply of homes for sale is low which usually stokes the fire of competition among buyers. But buyer demand so far in October has been slow too, in fact housing turnover is almost at a 20 year low (ABS). This puts more downward pressure on home prices. Although demand is patchy at present, inner city values are still being bolstered by location and outer zone prices are holding up because of good affordability, but the middle ring is currently looking like the meat in the sandwich. Middle-ring suburb home prices have dropped by 10% or 12% since the value peak in 2017 (Domain). When an ‘ugly duckling’ or otherwise hard to move property fails to sell, most owners drop the price, which just increases price-slide in those suburbs. There are good buying opportunities at the moment. In a buyers’ market however people tend to keep their hands in their pockets at auction hoping to then negotiate a bargain on the passed-in property. If the home has some drawbacks and looks like it could go for a bargain – but of course it can attract extra buyer interest simply for that reason! On the other hand if it’s a good quality home going to auction, a bargain is unlikely, because if it’s passed in, the would-be buyer will still be competing with the other ‘slow off the mark’ buyers. Not every vendor’s in a mad rush to sell – in fact such sellers are a rarity. The after-auction sale process then reverts to a bidding contest or what is more commonly known as an auction after an auction. September’s balanced market brings good buying. Over the first three weekends of September more than 2,248 auctions were recorded by the Real Estate Institute of Victoria (REIV). 995 homes were sold at auction, with 792 homes passing in, 420 of those on a vendor bid. The clearance rate so far in September has averaged 60%, down on August’s 62.5%. In September so far the Melbourne auction clearance rate has continued its trend down. 11 auctions in Camberwell on September 15 for example produced just one sale under the actual hammer. Melbourne home prices have eased and that means with the right strategies there are opportunities to buy on more favourable terms. Affordability has improved. Depth of home-buying experience from Buyer Marketing produced a great outcome for a home buyer in Pascoe Vale this month. Two properties in the same neighbourhood were up for sale, both valued around $600,000. Our buyer expressed keen interest in 1/3 Somerset St. Pascoe Vale and was determined to make an offer of $600,000 prior to auction. This substantial offer, given against our advice, sparked competition among other potential buyers and the house ended up selling for $665,000 at auction ($65,000 above reserve). With the second house at 18 Park St. our strategy was for more cautious negotiation, which successfully secured that home for $580,000. It is a larger property, presenting better value for our client! Spring 2018 is fairly unique because it offers a chance for buyers to enter a more balanced market for the first time in five years. There’s less pressure to try and beat rising prices. And sellers’ expectations are being tempered. Buyers bounce back in August. Over the first two weekends of August more than 1,096 auctions were recorded by the Real Estate Institute of Victoria (REIV). 488 homes were sold at auction, with 385 homes passed in, 197 of those on a vendor bid. The clearance rate so far in August averaged 62.5%, stepping up a bit from July’s 62%. There was good news for sellers In August’s first week when the Reserve Bank announced no change to the cash interest rate, keeping it at 1.5%. This is encouraging for borrowing and buyer confidence. Pressure from the banks’ credit squeeze continues to dampen the market this winter. At auctions many buyers are in no rush and are slow to bid. In some blue chip suburbs where values got overheated in 2017, prices hit a crunch point this winter, falling (in some estimations) from those 2017 highs by up to 10%. Domain Group analysts plotted a 1.8% drop in Melbourne home values for the June Quarter alone, putting the current median at $882,082. Bidders and buyers are backing off if they feel an asking price still reflects 2017 values. While sellers have to grapple with the reality of receding values. The best selling properties in August so far have been the more affordable under $750,000 type, or properties with development potential in good positions. But ‘A’ grade properties that tick all the boxes – position, schools, transport, presentation, etc, have not lost value. Underneath, the demand for residential property is still solid. Melbourne has plenty of buyers with strong equity and ability to service a loan. The property coil is rewinding, as people save up and prepare for their next property move! Reduced supply as market battens down for Winter. Over July’s first 2 weekends more than 933 auctions were recorded by the REIV (Real Estate Institute of Victoria). 423 homes were sold at auction, with 323 homes being passed in, 139 of those on a vendor bid. The clearance rate so far in July has averaged 62%. July so far has been marked by dwindling supply in many inner suburbs as home sellers sit tight and wait out retreating values, holidays, and cold weather. An unusual auction mid-July was a Middle Park home that had been donated to a charity (Monash University). Four keen bidders pushed the rundown house at 207 Little Page Street to a sale price of $1.91 million achieving $11,437 per square metre. Having no heritage overlay helped boost value for the back lane location. looking for affordability, plus the large blocks good for young families. So where is great value identified in Melbourne right now? CoreLogic data analysts have just assessed Coolaroo as the “most affordable suburb in Australia – with consistent median value growth”. In other words cheap as chips, with good growth prospects. A house in Coolaroo has a median value of just $475,235, but has also jumped in value by 33.4% over the last year and 64.2% over the last 3 years. Coolaroo is on the Hume Highway just 22 kilometres (13 miles) from the CBD. Older neighbourhoods there feature tidy bungalows with nice gardens. Other sections are less appealing with plenty of ‘front-lawn parkers’ – the only safe place for cars overnight! Rosebud is another star on CoreLogic’s new list – a low median of $499,582, with value growth of 29.9% over the last 12 months. Clearance rates hit six year low. 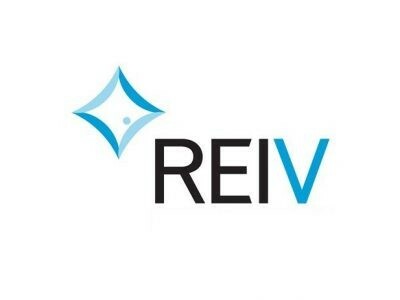 Over the first 2 weekends of June more than 1,167 auctions were recorded by the REIV (Real Estate Institute of Victoria). 541 homes were sold at auction, with 400 homes being passed in, 210 of those on a vendor bid. The clearance rate so far in June has averaged 60.5%, down on May’s average of 64.5%. The Queen’s Birthday weekend meant a drop in auction numbers to about 25% from the week before. Clearance rates have continued to plummet in June hitting a six year low (CoreLogic). Generally, in a classic about face, we’re seeing investors continue to retreat from the market and first home buyers dive in – taking up 17% of all owner-occupier mortgages. The retreat by investors is contributing to a lowering of home values. One flow-on from this is that consumer spending can also slow, because households feel less well off. Some economists have noted this could even trigger an economic downturn. Buyer Marketing attended three auctions in Port Melbourne on June’s first weekend, seeing two homes sell and one pass in. A contemporary home at 5 Bath Place, Port Melbourne sold for $1.41 million with 3 bidders vying. 1/97 Cruikshank Street Port Melbourne had 2 bidders but passed in at $1.16 million. 502/65 Beach Street, Port Melbourne sold for $1.325 million, with 4 bidders. As we saw, homes are still selling well in some locales. New data (realestate.com.au) has identified Kallista in the Dandenong Ranges to be Australia’s fastest selling suburb. It takes an average of 10 days to sell there, for a median of $704,500. Australia’s second top fastest seller is Millgrove in the Yarra Valley, where homes sell in just 12 days. The Millgrove median of $365,000 would help those quick sales along! Melbourne’s leafy hill towns always look a treat and are selling at high speed at the moment. And parts of regional Victoria are also having their time in the sun. Over the 12 months to March, median values in Geelong increased by 15.8% for houses and 12.2% for units. In the Latrobe-Gippsland region, house values have increased by 5.9%. Clearance rates drop, but Melbourne values hold. In May’s first 2 weekends more than 1,832 auctions were recorded by the Real Estate Institute of Victoria (REIV). 895 homes were sold at auction. 611 homes were passed in, 304 of those on a vendor bid. The clearance rate so far in May has averaged 64.5%, markedly down on April’s average of 67%. Clearance rates are continuing their downward slide in May. Vendors are no longer in the driving seat and have to take a more cautious approach to sale price expectations. New data from CoreLogic shows the clear correlation between the restrictions placed on property investors over the last couple of years and the current cooling market. And the faltering Melbourne home value growth in 2018. 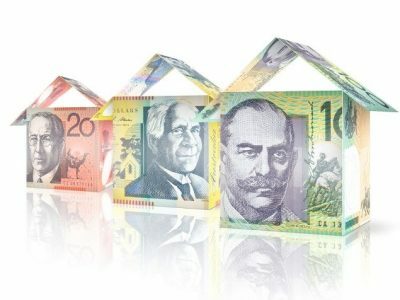 The $31.9 billion in Australian housing finance commitments during March were spilt between $21 billion to owner-occupiers and $10.9 billion to investors. Mortgage lending has fallen month over month for both investors and owners, but is much sharper for investors. In the latest available data, (CoreLogic), finance commitments for investors were down -9.0% over March, the lowest since January 2016. Keeping our own eye on the market over the last 3 weeks, Buyer Marketing has attended 8 auctions in Bayside. Of these, two properties in St. Kilda sold under the hammer for $2,090,000 (128 Argyle St) and $865,000 (103/65 Wellington St). At the Elwood auctions, one apartment sold for $831,000 (1/7 Dickens St) and one passed in $1,030,000 (14/9-11 Milton St) Brighton buyers held back more – out of 4 auctions attended by Buyer Marketing 3 passed in and one sold for $4,210,000 (11 Wolseley Grv). Buyer Marketing also attended 4 auctions in Richmond so far in May, where 3 homes sold and one passed in. A notable sale was a luxury townhouse in a cul de sac at 1/1 Princes St attracting 3 bidders and selling for $2.5M, a few hundred thousand over it’s indicative selling price. Sellers’ market retreats further – is a buyers’ market coming? In April’s first 3 weekends more than 1,433 auctions were recorded by the REIV (Real Estate Institute of Victoria). 744 of those homes sold under the hammer. 411 properties were passed in, 186 of those on a vendor bid. The clearance rate so far for April has averaged 68%, matching March’s 68%, but lower than February’s 71.5%. The subdued auction market emerging in 2018 continues in April. A study of Melbourne clearance rates over 2018’s first quarter shows more cautious buyers, with many suburbs clearance rates dipping under 50% (Domain Group), in areas as diverse as Balwyn, Altona, Springvale, Mont Albert, Berwick and Sunshine West. The contrast is clear in Camberwell which managed a first quarter clearance rate of 54.7%. This is way down on 79.4% for the same period last year. Prahran rates dropped from 73.7% to 57.4%. Buyer Marketing observed four auctions in Hawthorn on March’s last Saturday before Easter, resulting in just one sale at auction – 5 Hawthorn Gve. for $4.96M. Further out though it’s often a different story. Up north at Roxburgh Park, first quarter clearance rates are up from 54.2% (2017) to 87.5%. The Melbourne market appears to have peaked in Autumn 2017. Auctioneers report fewer bidders willing to raise hands in 2018. Going against this grain are the more affordable types of property, attracting keen interest from first-home buyers. Urban crowding in Melbourne and Sydney, plus immigration growth, is getting a lot of media coverage. New research by CoreLogic confirms that population growth is the main driver lifting home prices. The 4 states with high immigration levels, Victoria, NSW, Tasmania and ACT are the same states that have logged the highest property value growth over the last few years, whereas states with lower than average immigration have weaker value growth. Three quarters of overseas migrants arriving in Australia go to Sydney (98,000 a year) and Melbourne (88,000 a year). CoreLogic noted that any decrease in immigration would affect demand and logically, home values would be impacted in these cities. A NOTE: Last month’s Buyer Marketing Report noted the March 5 auction of 46 Glover Street South Melbourne, passing in at $1,260,000. Unknown at the time to this column, the home sold later that day (Greg Hocking Holdsworth) for $1,450,000, at a healthier $11,154 per square metre. Who’s buying homes in Melbourne in March? In the first 2 weekends of March, more than 1446 auctions were recorded by the REIV (Real Estate Institute of Victoria). 813 of those homes were bought. 461 properties were passed in with 223 of those on a vendor bid. The clearance rate so far for March has averaged 68%. Clearance rates have eased back by mid-March from February’s 71.5%, but on par with December 2017’s 68%. In a time of low supply and high demand Melbourne sellers have justifiably high expectations. But more buyers are holding back on auction day. Using Bayside as a snapshot, four Hampton auctions attended by BuyerMarketing on March’s first weekend produced only one sale, with three homes being passed in. The passed in homes were 33 David St. ($1,825,000), 9 Fewster St. ($1,650,000), and 28a Kendall St. ($700,000). The sale was for 1a Rayne Park Rd. Hampton, a two storey contemporary house, for $2,100,000. Which was on the knocker for Hampton’s median house price of $2,020,000. A large block with a knockdown house near Ricketts Point in nearby Beaumaris soared $750,000 over reserve on March’s first weekend. In this case the ‘build-your-own dream home’ potential brought the bidders out. The 1111-sqm property at 2 Point Ave. sold for $3.72 million. This amounted to $3300 per square meter – in line assumed land values for Hampton. The inner-Melbourne market is also patchy at present for mid-range homes, with bidders holding back. At the top of the Bay near Albert Park a single-front Victorian at 46 Glover St. South Melbourne passed in at $1.26 million. Although having appeal to both downsizers and upsizers, the auction failed. This property would have attracted much keener bidding in 2017 according to the Agents (Greg Hocking Holdsworth). Block size is critical when buying in suburbs like South Melbourne and Albert Park which have the city’s highest values per square meter. The failed bidder was willing to pay as much as $9650 per sqm. only. The average asking price in other parts of South Melbourne is running at over 11,000 per square meter. Albert Park can vary between $12,000-$15,000. But the Glover Street location being very close to the border of Port Melbourne (@ $9000 per sqm) meant potential buyers would have assessed the home’s land value at Port levels. The right Postcode adds value, but it’s still trumped by actual location! 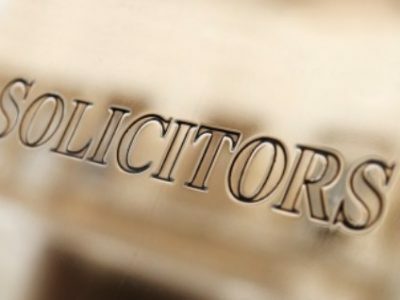 Property Conveyancing – what is the difference between a Property Solicitor and a Property Conveyancer? 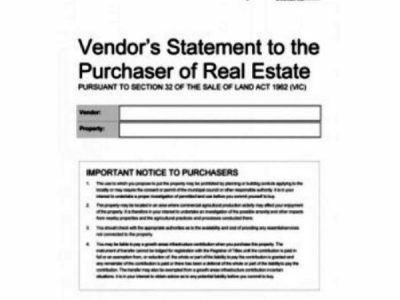 Section 32 Vendors Statement – what to look for as a Buyer. Underquoting and Quoting – what is the difference?